Singer, potter, caravan park manager, grape grower – they are among almost 750 occupations eligible for the 457 visa program to fill skill shortages in Australia. Workplace experts who have made submissions to the government on the legislation – expected to be voted on in Parliament on Tuesday – say the list must be culled to reduce rorting. A Senate report tabled on Monday recommended passing the new laws to deter what the government says is the growing misuse of the temporary skilled worker visa system. The laws, proposed by Immigration Minister Brendan O'Connor, include mandatory advertising and other activities to prove that a job was first offered in Australia; empowering 300 Fair Work Ombudsman inspectors to police rorting of the scheme; and giving a 457 worker who loses his or her sponsorship 90 days to find a new position, instead of the current 28.
Business groups have warned the changes will increase costs for employers. The use of 457 visas by employers has grown strongly over the past decade, rising from about 40,000 in 2003 to 108,000 now – just short of the peak of 110,000 reached before the global financial crisis. They are followed by construction workers (11.7 per cent) and health care professionals (11 per cent). Cooks account for just over 4 per cent of new 457 visa applications – double what they were a year ago. Australian Industry Group chief Innes Willox says the evidence produced so far of misuse in the 457 visa program represented "a tiny number of individual cases" of rorting. However, University of Adelaide law professor Andrew Stewart, who helped draft the Fair Work Act, said overblown rhetoric by Immigration Minister Brendan O'Connor had obscured real problems with the visas. In April, Mr O'Connor claimed there were more than 10,000 cases of abuse in the 457 program – but then failed to provide more than a handful of examples. "There is something badly wrong here," Professor Stewart said. "We are moving to a situation where there is little to stop employers in a massive range of industries bringing in labour without having any meaningful attempt to source these jobs locally – and without any independent demonstration that there is a need to go overseas." 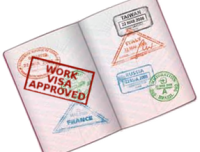 Employers were increasingly using the visas "because they know they can save money or get compliant workers", he said. Professor Stewart said reducing the broad range of occupations for which employers can sponsor temporary migrant workers would be a key way to reduce problems. This "Consolidated Sponsored Occupation List" has 742 occupations. It includes mainstream occupations for which there is a recognised skills shortage, such as medical specialists, mining staff and legal personnel. So long as an occupation is on this list, there is deemed to be a shortage of workers in Australia. It includes, as well as singers and potters, dieticians, roof tilers and greenkeepers. Professor Stewart and colleagues from Adelaide University's law school recommended, among a range of solutions to the visa issue, better oversight of the occupations list by the government's Australian Workforce and Productivity Agency, and a period of enforced labour market testing. Until the controversial 457 visas were introduced in Australia in 1996, virtually all visas for economic and family migration entitled immigrants to permanent residence. The new temporary visa was introduced after a 1995 inquiry by the Keating government (although the visa system was put in place during the Howard era). The inquiry, chaired by Fujitsu's then managing director Neville Roach, recognised the changing reality of increased people movement and international competition for skilled labour. It found the existing permanent migration systems inadequate, and recommended a liberalisation of migration procedures. The 457 visa system was brought in to allow more flexibility in migration, so that businesses could rapidly fill skill shortages. Since then, however, use of the scheme has ballooned – in ways not necessarily planned at its inception. The latest figures from the Department of Immigration and Citizenship show that half of those being granted 457 visas are already in Australia, indicating more rigorous labour-market testing – as proposed in the government's bill – may be justified. The most recent Department of Immigration and Citizenship figures on use of the visa, released this month, show that the number issued jumped by almost seven per cent in the year to April. There were 61,500 new applications, up from 57,500 in the previous year to April. Mr O'Connor said earlier this month that employers, under the changes proposed by Labor, would have to show evidence of attempts to recruit locally, such as advertising a job, or participation at a relevant job fair, and details of the results of these attempts to find a local to fill a position. The government refuses to give out information on which companies are biggest users of 457 visas. But a list of 40 companies that have gained permission to fast-track 457 applications – obtained by the Electrical Trades Union under freedom of information – is instructive. It shows that more than 40 employers have been granted accreditation for up to six years to fast-track foreign workers on the visas between late 2011 and last September. Among those accredited were IBM, Coles, Shell, Thiess and Victoria's Department of Human Services.